Besides local history collectibles and antiques, William Tell Antiques offers the largest selection of Tell City Chair Company furniture in the world. 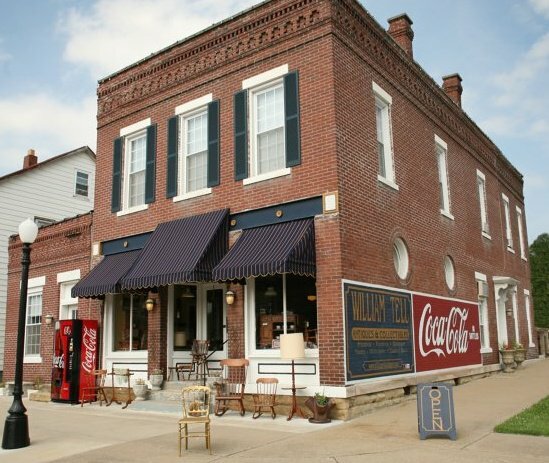 William Tell Antiques and Collectibles is home to the former Soda Watering plant owned by Oscar Basedow. The building, shown here in 1895, has been beautifully restored and provides the perfect home for our store.